St. Paul’s values its relationship with the Town of Bedford and our surrounding communities. Here are a few ways our parish participates in the life of our town and our region. St. Paul’s Weekday Nursery School, Inc. is a secular preschool welcoming all children where young people learn through and from play, which is the child’s work. The school was founded by a parishioner over 50 years ago, and today operates as a non-profit housed at St. Paul’s Church. The curriculum fosters a child’s natural curiosity, providing many opportunities for sensory exploration. In a warm and caring environment, teachers encourage children to question, articulate feelings, experiment with ways to solve problems, empathize with others, and develop self-help skills. The school offers two-day, three-day, four-day and five-day programs, with children ages two years, nine months to age six placed in the appropriate program based on age and readiness. The school does not discriminate on the basis of race, religion, cultural heritage, national origin, political beliefs, disability, marital status, or sexual orientation in its hiring practices, admission of children, or the administration of its policies. Toilet training is not a prerequisite for enrollment. St. Paul’s Weekday Nursery School is licensed by The Commonwealth of Massachusetts Department of Early Education and Care. 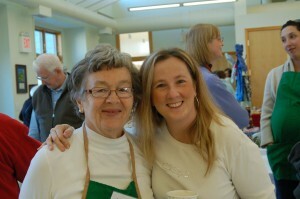 For more information, visit their website at www.stpaulsweekdayns.org or call 781-275-1383. 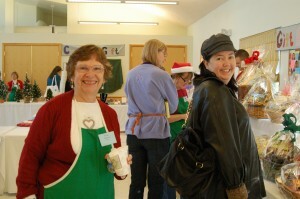 On the first Saturday of December, St. Paul’s hosts its annual Advent Fair. The Fair features handmade crafts, gorgeous gift baskets for all occasions and budgets, a country kitchen with homemade delicacies, a silent auction, children’s activities, and so much more! The Advent Fair is our primary fundraiser each year, and provides countless opportunities for fellowship, both within the parish and with the wider community. Every June, St. Paul’s holds a Thrift Sale, a community rummage sale open to all. Parishioners and friends donate gently used clothing, household items, white elephants, and small furniture. All items are priced for quick sale, and any unsold items and donated to various charities after the sale. St. Paul’s periodically presents special concerts, services, and performances open to the public—some with a religious bent, and some secular. Our ST. PAUL’S TONIGHT song-and-dance revue has been performed roughly every two years since 2005, in different incarnations. In December we hold an Advent Service of Lessons and Carols, with our parish choirs and special musical guests, to provide an opportunity for reflection and beauty during the Advent season. In May 2017, St. Paul’s will present a performance of Ralph Vaughn Williams’s Five Mystical Songs, under the direction of Dr. Michael Monroe, our minister of music.